Stamps At Play: It's a Merry Monday SURPRISE! It's a Merry Monday SURPRISE! This week at Merry Monday we're having a special CELEBRATION! It's LeAnne's birthday (and it's a special one!) 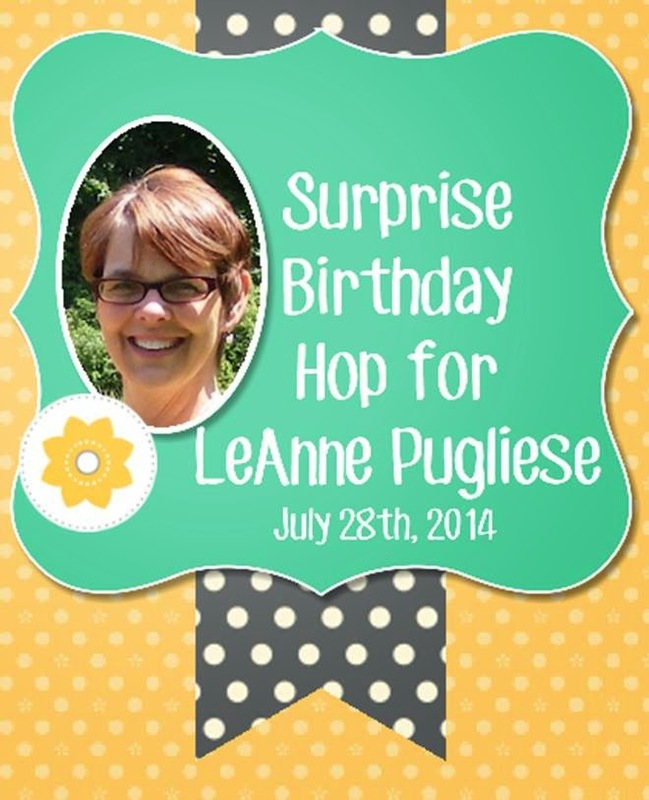 We're having a Surprise Birthday Hop and hope you will hop along! * You can visit the Merry Monday blog to start or click on one of the Design Team Member's below to see their card for LeAnne and hop from there. * It would be so great to go to LeAnne's blog to send her birthday wishes. I love all the patterns on your card - they work beautifully together - great card! This is so perfect for LeAnne, Kathy! She'll love the checks and Ball jar! It reminds me of a cozy kitchen! Beautiful card. I love the way you did the water in the jar. Happy Birthday LeAnne. Such a sweet card - I love the patchwork and little jar of flowers - so pretty! This is the perfect card for LeAnne, Kathy! The old-fashioned jar and those gorgeous flowers are just gorgeous! Oh my gosh, this appeals to my country-lovin' heart SOOO much! What a sweet image and great colors and elements! LOVE it! Thank you SO much for helping me celebrate my birthday in such a special way! A FABulous jar of flowers! LOving your colours and such a pretty design. This is adorable, Kathy - love the mason jar! Fabulous card, I love the papers and colours you used and the jar is perfect. I love your card and you have reminded me about my mason jar stamp. I must use it more. Love all the papers and the flowers in the jar! !